Her Cat Waited 10 Days For The Dog To Come Home. When He Walks In? OMG! The animosity between two of our favorite animals is well-documented through books, cartoons, and pop culture at large. If we’re to trust what we see on TV, we’d believe that cats spend their days plotting against dogs, and that man’s best friend is forever lying in wait for kitty to chase. This notion probably comes from the behavioral differences between the two species. A dog will gleefully bound up to a person he’s never met before, whereas a cat would be far more aloof. He may even observe a newcomer for several hours or days (often from the top of a bookshelf or fridge) before he feels comfortable enough to sniff and explore a new friend. 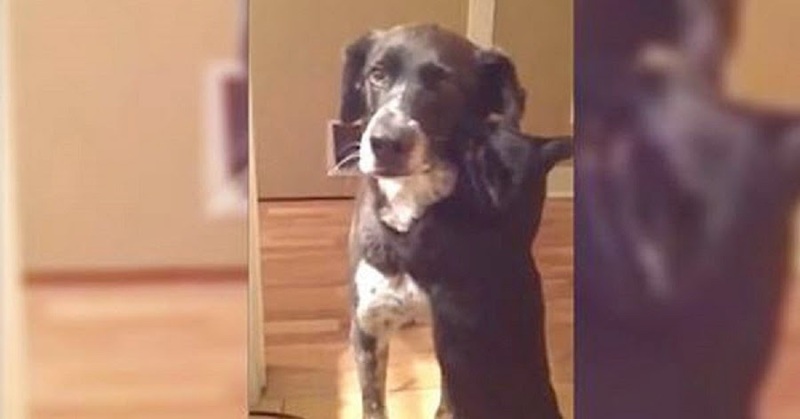 Enjoy this video, and please remember to SHARE this hilarious clip with all of your friends to help end the stereotype that says dogs hate cats! !